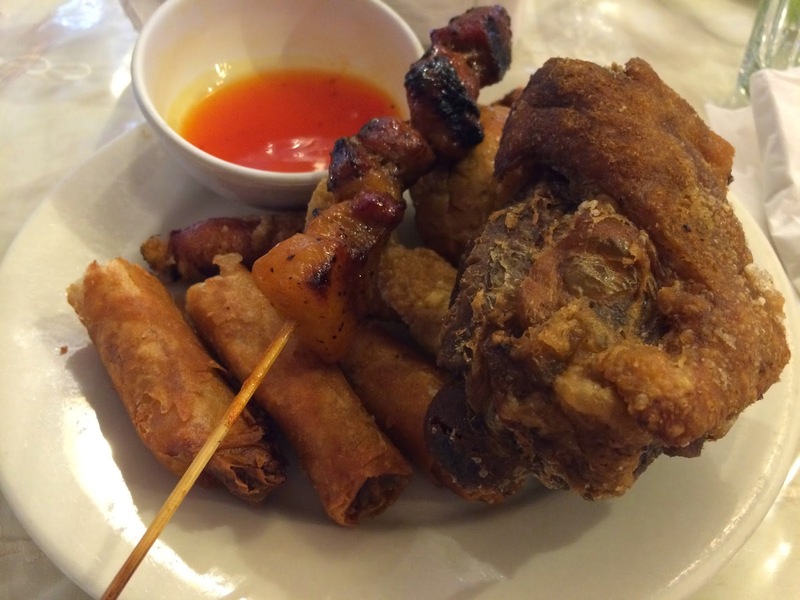 Finding Filipino restaurants close to downtown Chicago is essentially impossible. 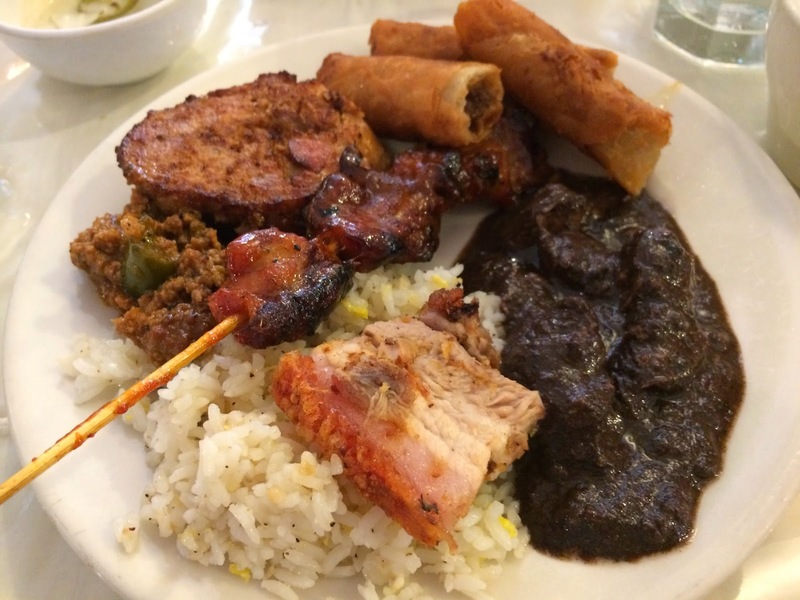 I already blogged about an amazing Filipino breakfast joint (Uncle Mike's), but for more classic dishes, be ready to drive at least 30 minutes to the northern part of the city. 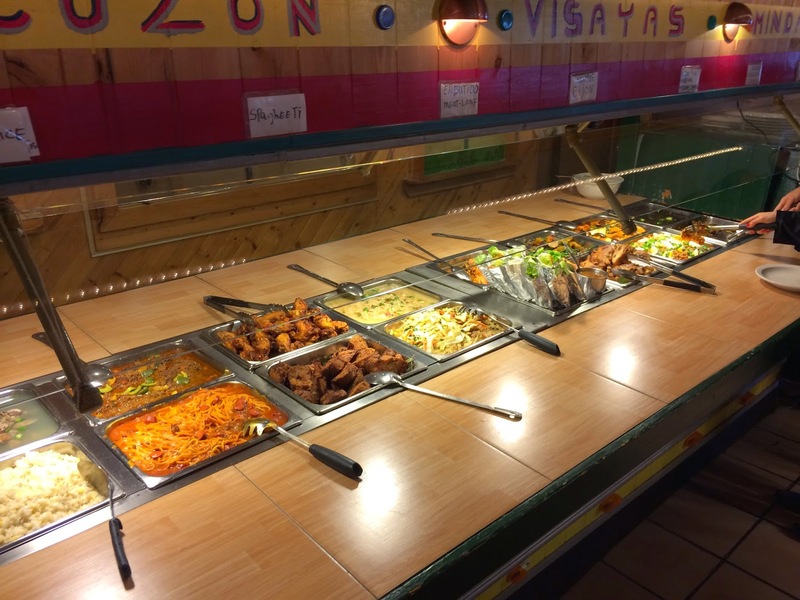 If you do, check out Little Quiapo for their lunch buffet. At $11.95, you are sure to get extremely full without busting the wallet. 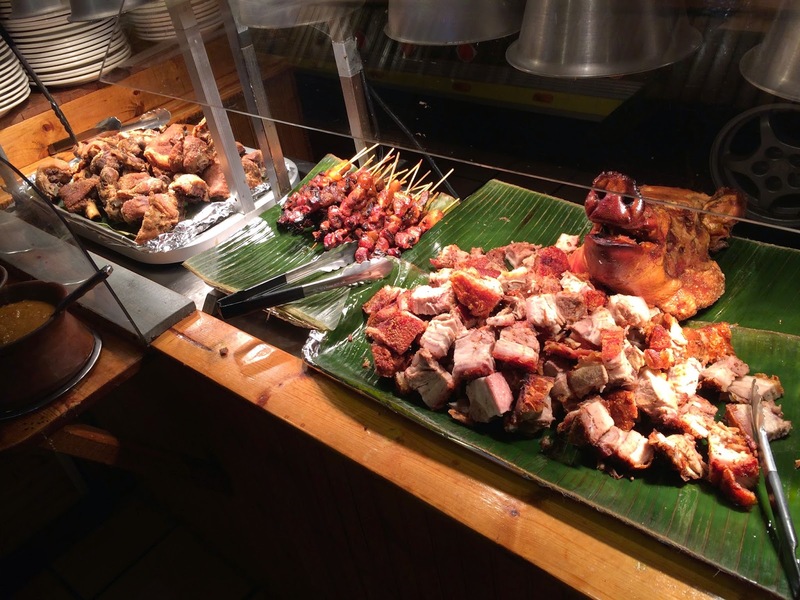 The buffet has just about everything on the a la carte menu, including lechon, adobo, and dinuguan--3 classic Filipino dishes. And, with over a dozen others including soups and desserts, there is something for everyone to enjoy. Unfortunately, with such a cheap price, the quality suffers quite a bit. A few dishes are on the bland side, while others are on the cold side. None of the dishes were perfect, but all seemed at least above average. And, with such a limited option for places, it is hard to knock a restaurant that features a very unique cuisine. I have been several times and I always leave happy and full. Be open minded and you will see why I could easily give them a 3.5-mile rating. Everyone has the choice of indulging in the buffet or choosing a few dishes from the a la carte menu. We obviously came for the buffet that is priced at just $11.95. You will first notice the entire buffet is served out of a jeepney... the classic "taxi" of the Philippines. And wow, what a spread it can hold. I started off with all of the fried treats that included lumpia shanghai aka the Filipino egg roll (filled with ground meat), crispy pata which is a deep fried pork knuckle, pusit or fried calamari, and chicharones which most know as pork rinds. All of the fried food is better dipped in either sweet and sour sauce or a vinegar-garlic mixture. Personally, I thought the crispy pata was dry, so I would probably avoid that dish. After enjoying the fried dishes, I went with the more classic meat dishes of the Philippines. The dark sauced dinuguan is a pork stew cooked in a blood sauce and is one of my all-time favorite dishes. I also tasted some of the menudo (ground pork, potatoes, and other veggies in a tomato sauce), the embutido which is the Filipino meat loaf usually made with a vienna sausage or canned meat, adobo-style stewed chicken, and a few BBQ pork skewers. I highly suggest the dinuguan, but make sure to eat it with some fried rice. I topped off my meal with a bowl of arroz caldo (Filipino congee aka rice porridge) and sinigang (Filipino sour soup). Sorry I forgot to take pictures of those soups. The buffet literally has another half dozen or more dishes including two types of pancit, lechon (pictured below), caldareta (tomato-beef stew), pinakbet (eggplant/okra dish), lumpia (fresh style hand rolls), and of course, bangus (deep fried milk fish). All are authentic, but all the dishes are not piping hot, making the meal a little disappointing. Still very tasty, but I wish they had better control of their temperatures. For dessert, it appeared they offered a huge variety of dishes, but one all of them are one-noted and taste the same. 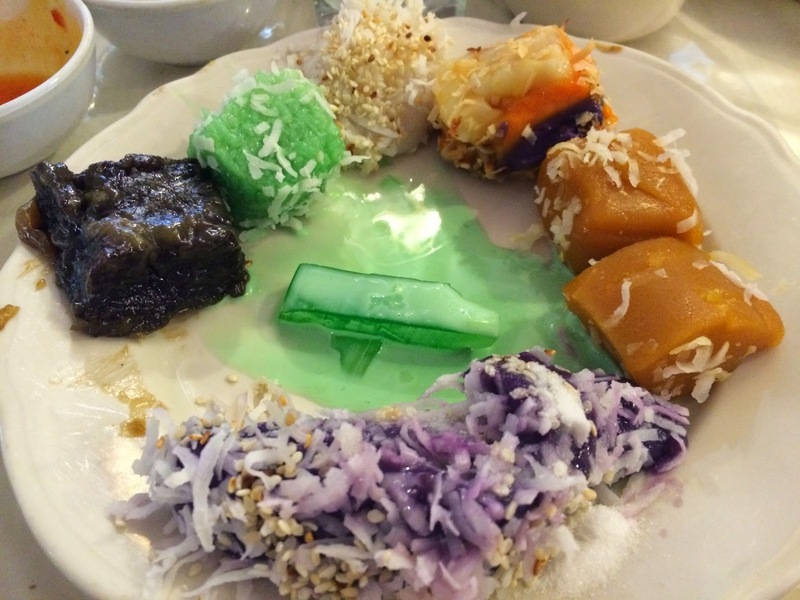 Some of the dish names include sapin-sapin, bibinka, biko, and other ube-cocount creations. They also have ginataan as the warm dessert dish and a mixed fruit platter. My friends and I all agreed that the desserts tasted the same. Nothing too sweet, and everything with a lot of coconut. I wish they had some of my favorite desserts, including braze de mercedes, suman, gulaman, and halo-halo. They do have halo-halo and other tropical ice creams on the a la carte menu, but we were too full to order more. - Order Halo-Halo. You must save room for this special dessert that has all the sweet gelatins, beans, fruits, and of course ube ice cream. I still can't believe we ate too much to order one. - Afterwards, head across the plaza to the Filipino bakery. They have some of the better desserts including my favorite, brazo de mercedes. - Huge parking lot. It gets packed around noon so I suggest getting there earlier. We got there at 11am and it was empty. - Balut anyone? These underdeveloped duck eggs are available for $2.25 a piece. Some think Fear Factor, I think delicious. 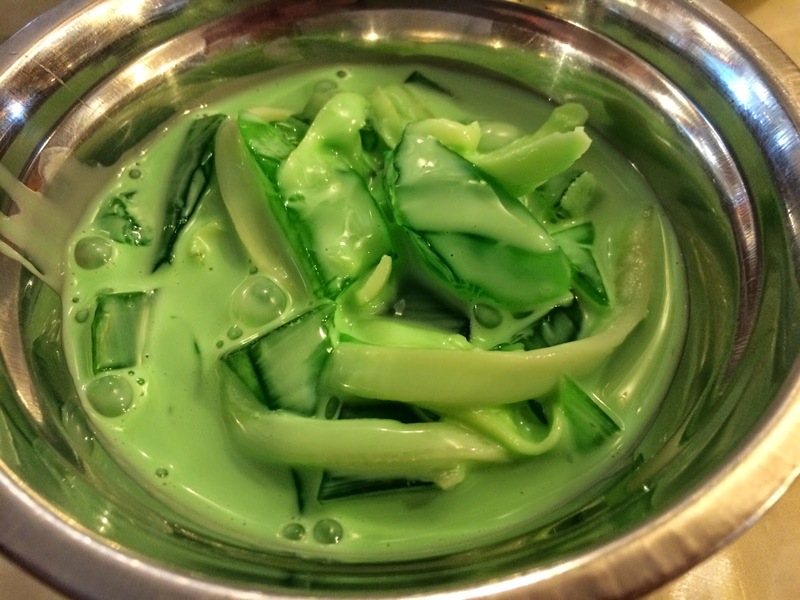 - Don't expect the highest quality food and don't expect the food to be piping hot. We got there right when it opened and the dishes were already just warm. Disappointing, but I guess the buffet is cheap so it's hard to complain. - Don't get the lechon. It is awful here. Very fatty and not much meat at all. Also very flavorless.